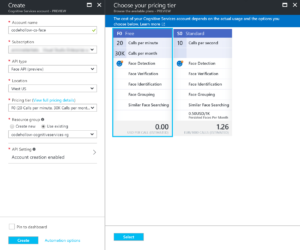 Last month I wrote a blog post with a short introduction to Microsofts Recommendation API (Introduction to Microsofts Recommendation API). 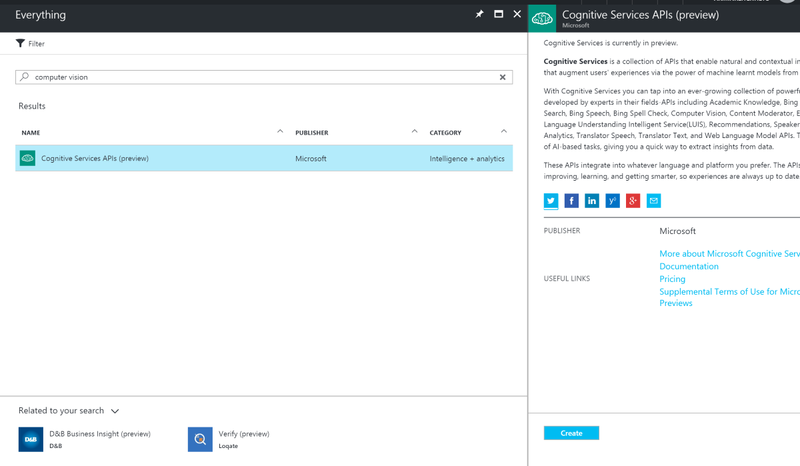 I wrote about the basics, how to start and how to work with this nice API which is part of the Microsoft Cognitive Services. When I started to work with the recommendation API, I soon realized that the most important thing is – Data! Okay – no surprise – but how to get the data? 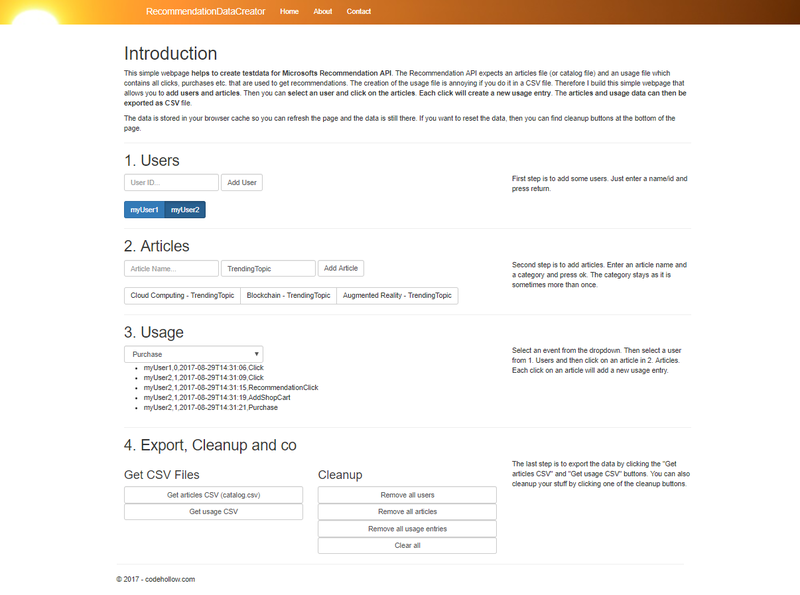 Or how to create some test data if you just want to try it? In my previous blog post, I mentioned that I used a tool to create my (test) recommendation data. The tool was a quick and dirty, self-hacked WCF application, but it worked and I had some data to start. Today I spent some time to explore the Microsoft Recommendations API. 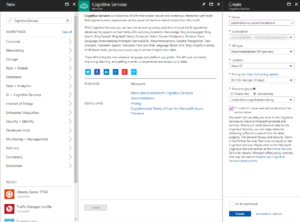 This API is part of the Microsoft Cognitive Services and it allows to show related articles – something like “people who are interested in A are also interested in X,Y and Z”. This can be useful for web shops or blogs but also to see related items/interests. 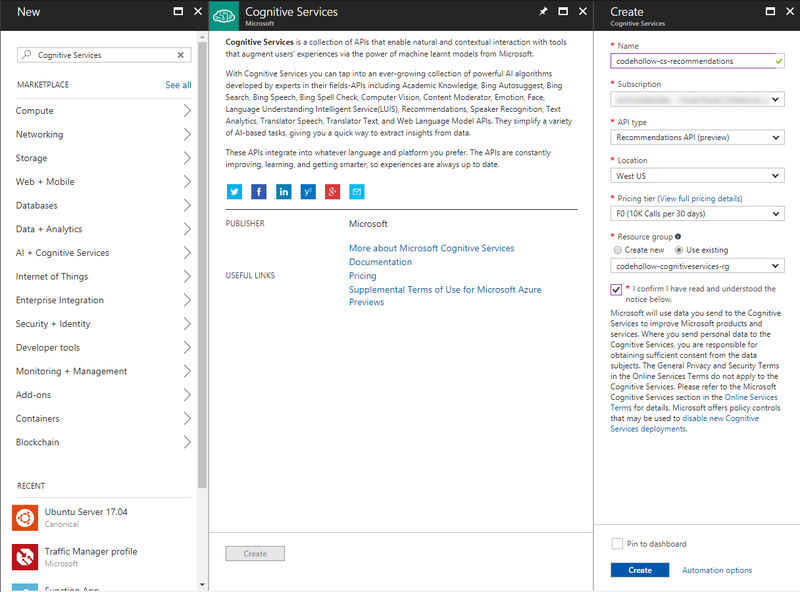 The recommendations service is part of the cognitive services and can therefore be found as cognitive service in the Azure portal. Just create it with your preferred pricing tier. 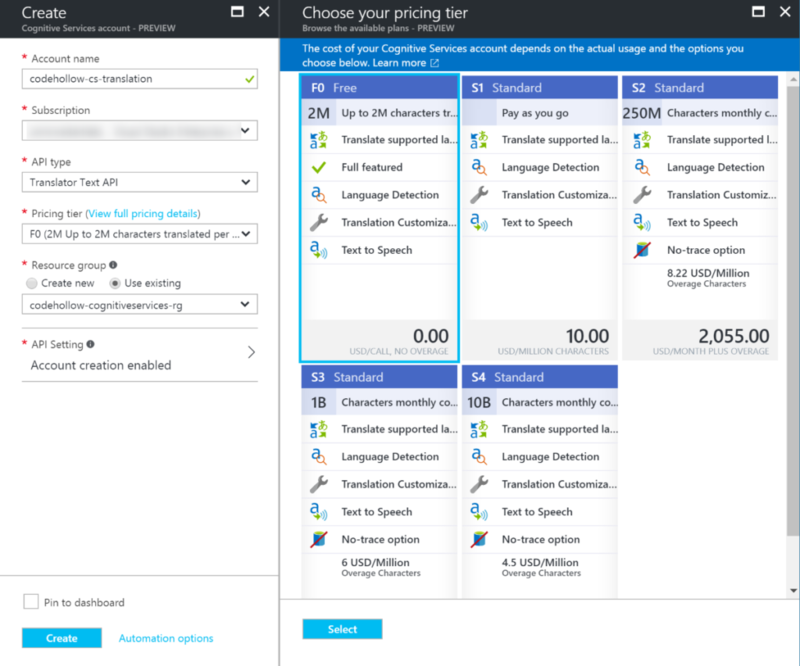 If you want to programmatically translate text from one language to another, then the Translation service (translation api) is the right one for you. The Microsoft Translation Service just requires an authentication and then you can easily translate text from one language to another. It sounds simple…and it is simple! In this blog post, I’ll quickly describe how to create the translation service and how to use it with C#, Powershell and Node.js. The Face API which is part of the Microsoft Cognitive Services helps to identify and detect faces. It can also be used to find similar faces, to verify if two images contain the same person and you can also train the service to improve the identification of people. In this blog post, I’ll just use the detect service which detects faces and shows the age, gender, emotions and other data of the detected face. Analyze an Image: Returns categories and tags (e.g. “mountain”, “outdoor”), detects celebrities on the picture, checks if it contains adult or racy content, gives a description of the image, detects faces (e.g. male, 20 years), analyzes colors and the image type. Get a thumbnail: returns a thumbnail of the image. OCR (optical character recognition): detects text on an image. Analyze videos: does the same as analyze images, but for videos. In this blog post, I’ll use C# to analyze images, to do an OCR and I’ll create a thumbnail.